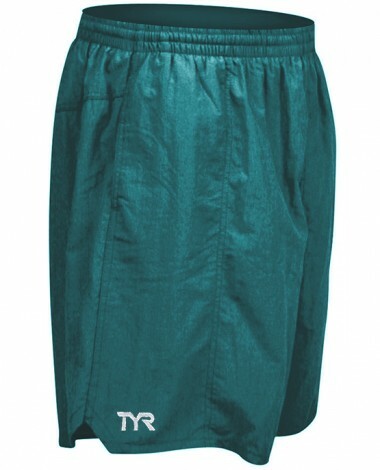 Enjoy a day in the water with the Men's Classic Deck Swim Short. The DKS5A showcases 100% Nylon construction for breathable comfort and accelerated dry time. Engineered for both casual and active use, the Deck Swim Short features an elastic waistband with drawstring closure and side pocket treatments for small storage. 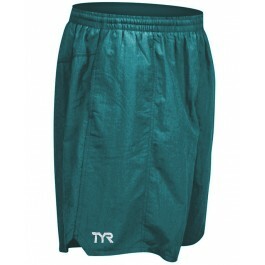 In addition to a customized fit, the suit also includes a TYR logo on the right leg. A 6" base inseam minimizes bulk while offering relaxed support.